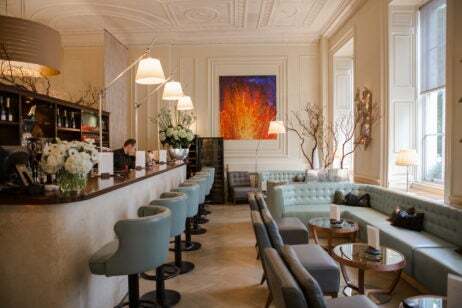 Celebrating its 10 years of success, the Michelin starred restaurant Texture in Marylebone London is hosting a series of exclusive collaborative dinners. Taking place throughout September, the series will bring together five of the UK’s most revered chefs. For each edition Texture’s chef patron and owner Agnar Sverrisson has teamed up with a different chef, from Raymond Blanc OBE of the two Michelin starred Belmond Le Manoir aux Quat’Saisons and Vivek Singh of the Cinnamon Collection to Arnaud Bignon of two Michelin starred restaurant the Greenhouse and Ollie Dabbous of Henrietta. 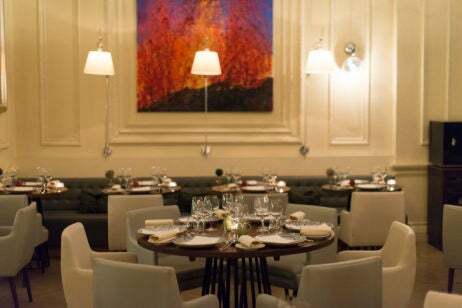 Texture will then host a special dinner with Gaia Gaja of Gaja Winery to celebrate a decade of food and wine pairings at the restaurant. 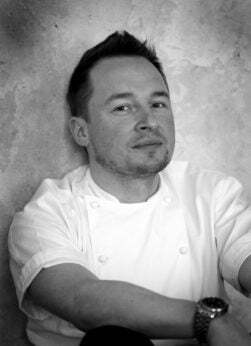 Each visiting chef will bring their own culinary style together with the signature modern European cuisine of Agnar Sverrisson which is known for its Scandinavian influences and use of Icelandic produce. The master sommelier at Texture, Clement Robert, will then pair each dish with carefully selected wine. 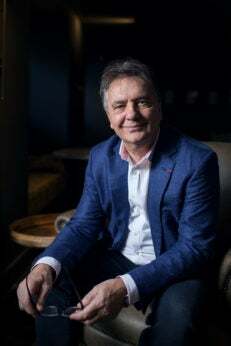 The series begins on September 5th with a collaboration between Sverrisson and his long-standing mentor Raymond Blanc. Expect a menu that reflects chef Blanc’s passion for seasonal produce using ingredients grown in the kitchen garden at Le Manoir aux Quat’Saisons, from a garden beetroot terrine with horseradish sorbet to a manjari chocolate and raspberry crumble. Sverrisson will complement this by serving Scottish salmon with cucumber, sorrel and snow on rye bread and his signature Norwegian king crab with coconut soup, lime leaves and lemongrass. On September 7th, Vivek Singh is then set to join Sverrisson in the kitchen where he’ll cook up canapés such as lamb seekh kebab in handkerchief bread and mushroom pickle on crisp wheat, alongside Sverrisson’s new season Lancaster beetroots with gorgonzola served with Texture’s trademark snow and walnuts. The collaborative dish of Scottish red grouse with spiced leg spring roll, charred sweetcorn and bacon popcorn will arrive next, followed by a tandoor spiced halibut with green mango and coriander sauce. Chefs Arnaud Bignon and Ollie Dabbous will make their appearance on September 19th. A six-course menu will celebrate the chefs’ shared expertise while showcasing each of their distinct culinary styles. Guests will be given the chance to dine on Dorset crab with mint, cauliflower, apple and curry followed by Icelandic langoustine and salmon tartare with iced eucalyptus and Rhug Estate organic lamb with aubergine, gomasio and harissa. The dessert will combine raspberries with pearl barley, strained yogurt and fragrant herbs. The collaborative series will then come to a close on September 28th with a celebratory Gaia Gaja wine dinner for which four Gaja wines will be paired with five courses and canapes, including Anjou pigeon, chargrilled ceps purée and truffle with Barolo Dagromis Gaja 2013, and Black Angus beef ribeye and short rib with horseradish and madeira jus with Barbaresco Gaja 2001 and Barbaresco Sori San Lorenzo Gaja 2003.